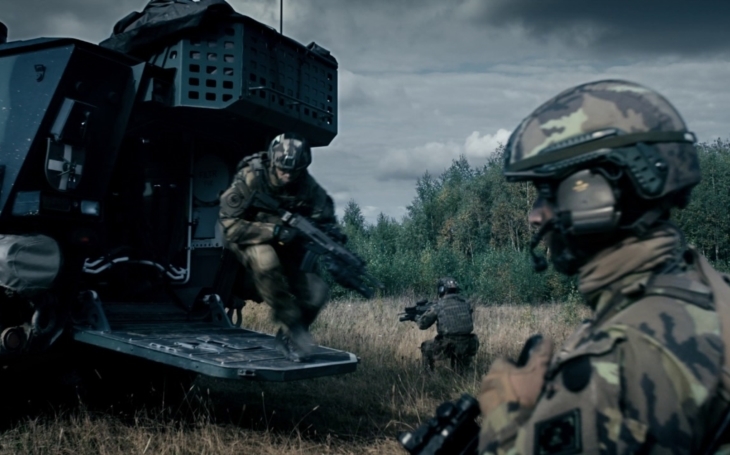 Global Firepower's Firepower Index for 2019 ranks the Czech Republic 30 among 137 countries of the World, just like in 2018. It mentions the current modernization and acquisition projects like armoured vehicles (meaning the IFV tender), artillery (155mm self-propelled artillery and mortars), helicopters (12 multi-purpose ones) and air defence (the SHORAD). It estimates the total military personnel at 25 thousand, and it fails to mention the Active Reserve personnel. What is the current situation of the Czech Army (as of 1st January 2019)? According to the Ministry of Defence, on 31st December 2018, there were 25,105 professional soldiers, and 2,853 Active Reserve soldiers. In its January repport the Army lists 36 Combat Aircraft (14 JAS-39C/D Gripen and 22 L-159A/T ALCA), and confirms 17 Combat Helicopters (Mi 24/35). The army overview for 2019 says there is 116 Main Battle Tanks (all versions of the T-72; 30 are the only active 3rd generation T-72M4CZ tanks; the other are 2nd generation variants stored in reserve), 437 Armoured Combat Vehicles (all combat versions of infantry fighting vehicles and armoured personnal carriers of BVP-1, BVP-2, BPzV, Pandur II 8x8 CZ, OT-90 and OT-64 types), and 179 artillery systems of 100 mm caliber and above (all versions of cannons/howitzers ShKH M77 Dana, self-propelled mortars ShM 85 and 120 mm M1982 mortars). Among the 29 NATO countries, the Czech Republic holds the 11th place according to the Global Firepower. According to the Government's plans, the Czech defence expenditure should reach 1.4 % by 2020, and 2 % by 2024. It reached 1.13 % in 2018, and 1.19 % is planned for 2019, at CZK 66.735 billion (USD 2.954 billion), or 4.43 % of the Government budget (3.3 % in 2015, 4.01 % in 2017).